“May the pierced Heart of Christ the Good Shepherd continue to give us the strength and the joy of living our consecration to the mission with a great passion and love for the poorest.” These are the closing words of the message for the feast of the Sacred Heart – tomorrow, June 7 – sent by Fr. Enrique Sánchez González to all his Comboni confreres. Below we publish the message. In communion with all the members of the Institute we want to wish you all a happy feast of the Sacred Heart, recalling what is written in our Rule of Life and acknowledging with gratitude the faithful love of God who accompanies us on our missionary and Comboni journey. The Founder discovered in the mystery of the Heart of Jesus the thrust of his missionary commitment. Comboni’s unconditional love for the peoples of Africa had its origin and model in the saving love of the Good Shepherd who offered his life on the Cross for humanity. 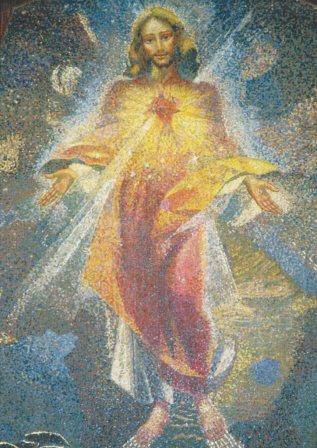 “Trusting in that most Sacred Heart... I feel more inclined to suffer... and to die for Jesus Christ and for the salvation of the unhappy peoples of Central Africa” (RL 3). In the mystery of the Heart of Christ, the missionary contemplates, in their fullest expression, Christ’s innermost attitudes and makes them his own: his unconditional giving of himself to the Father, his all-embracing love for the world and his involvement in human suffering and poverty” (RL 3.2). May the pierced Heart of Christ the Good Shepherd continue to give us the strength and the joy of living our consecration to the mission with a great passion and love for the poorest.